Today's post introduces a couple of very cool Geegeez Gold reports. Both are designed to help users spot likely improvers, based on trainer behaviour. Before I introduce the reports, let me outline the reason for them. It's a reason I've touched on before, and I make no apology for revisiting it. Essentially, if you only look at horse form, you are missing a huge part of the puzzle. Especially so when there is very little horse form to go on. A moderate looking race, and we need to go into the actual form to search for material differences today. Clicking the 'horse' icon in the top menu bar for the race opens all the recent form lines for each horse. 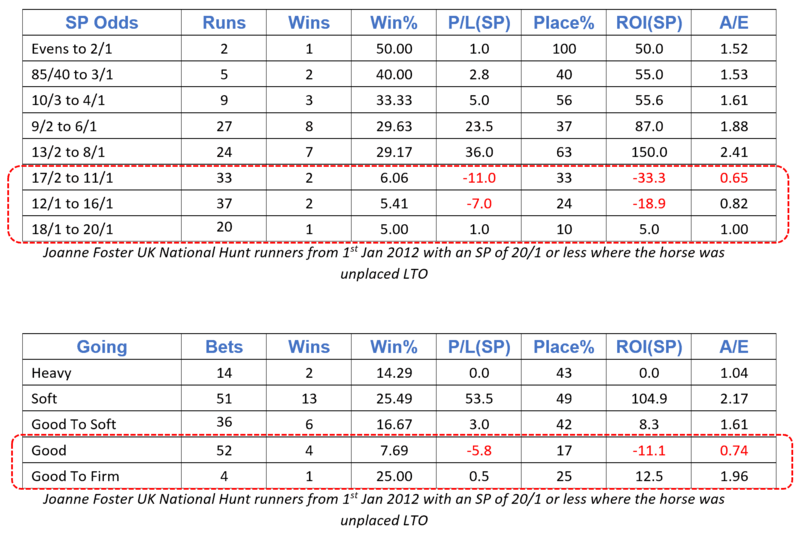 Here is that view for the top two horses in the betting. 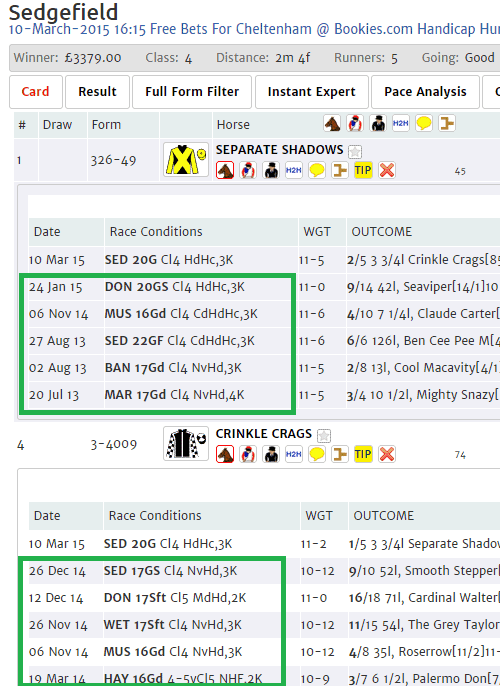 The top form line is the race in question here (because we're reviewing it after the event), so it's the past form in the green boxes that is of interest. Look at the favourite, Separate Shadows. On his previous three runs, he was in handicap company (denoted by 'Hc'), including over today's distance (20 furlongs, or two and a half miles if you prefer) and in today's class. And he'd been beaten each time. There was nothing obviously different today so why should he improve markedly on what he'd achieved thus far? Now look at Crinkle Crags. He had never previously run in a handicap. That is a hugely material difference. First time in a handicap. I've written about this before. AND... he was stepping up three furlongs in distance. AND... he was reverting to good ground on which he ran well on 19th March last year. In other words, there were numerous material changes for Crinkle Crags, in terms of the race conditions today when compared with his recent runs. Crinkle Crags was available at 11/2 in the morning, and was backed in to 5/2 second favourite. He won easily. Spotting these differences will make you money from your betting. But let's face it, if you had to look through all the form of every runner to unearth these, it would be a lot of work. So what if a report could flag some of the differences for you? Introducing the rather unsexy-sounding 'Trainer H'cap 1st Run [Code]' report. 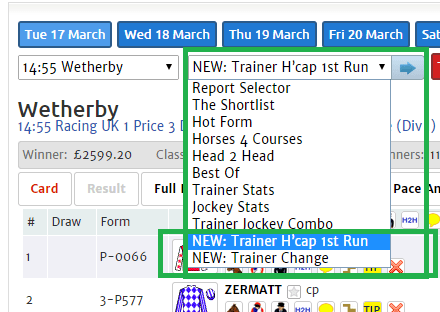 This report, found towards the bottom of your reports dropdown , shows all horses running in a handicap of that code (flat, hurdles, chase) for the first time today by the trainer's record with such types. The trainer records can be viewed by one year form, two year form, five year form, and five year course form. 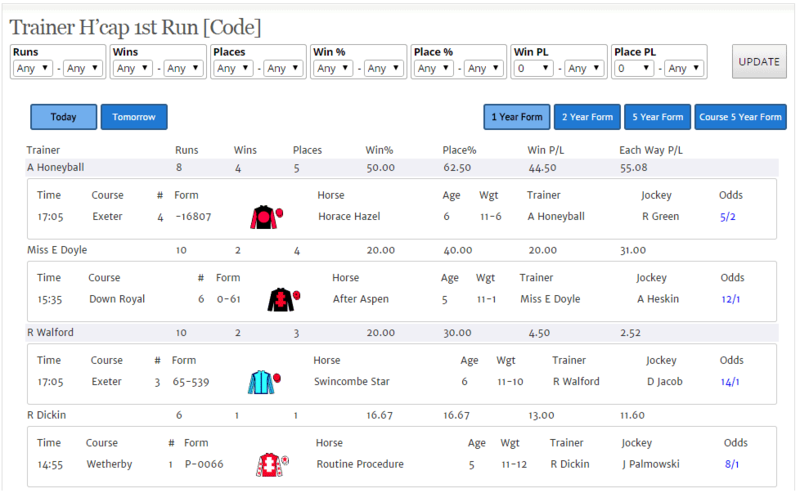 The data displayed is specifically for each trainer's runners first time in a handicap of that code. Crinkle Crags, the example above, was running for Nicky Richards, a trainer who - according to this report - had entered nine runners in a handicap hurdle for the first time in the last year. Five of them had won. Crinkle Crags made that six out of ten. And then, on Saturday, Un Noble took Richards' record to seven winning handicap first-timers from eleven in the past year. Un Noble was backed from 6/1 (the price I took) to 11/4, before winning readily. These clues are in the form book, but they're under the trainer record not the horse. Smart punters know this. Here's an example of today's 'Trainer H'cap 1st Run [Code]' report. (Click on the image to open full size). In this case, I've filtered for at least '0' win and place profit, and I am looking at the 1 Year Form view. I have also clicked on each trainer's name to highlight their runners today. 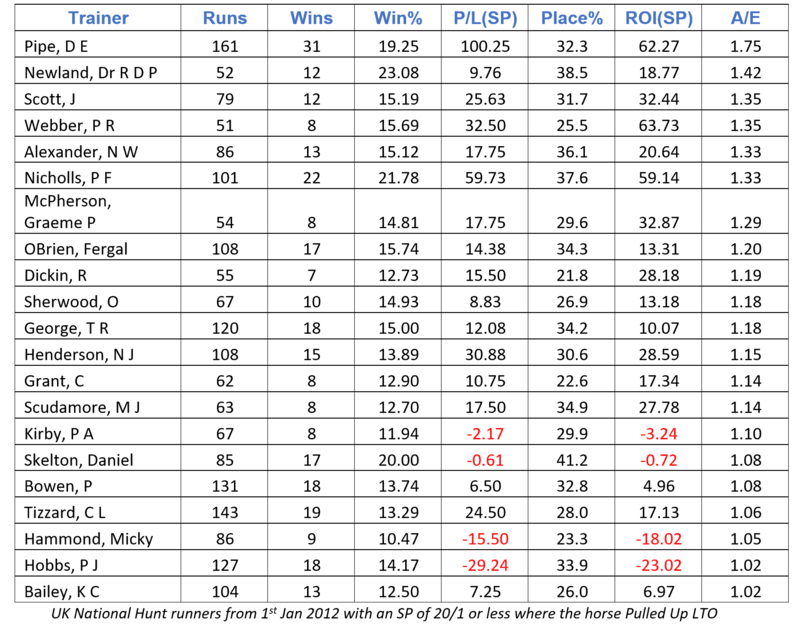 As we can see, Anthony Honeyball has run eight horses in handicaps for the first time in the past year. Four of them have won, and another has placed. His four winners were worth a profit of 44.5 units, and included The Geegeez Geegee at 11/1 a few weeks ago! Miss E Doyle has had two winners and two placed horse in handicaps for the first time in the past year. They were nicely profitable to back both win and each way. And so it goes on. This report has been in test for a few weeks, due to a couple of issues and the fact it was Cheltenham last week, and it's been finding some great winners. I'm delighted that it's now live and available to all Gold subscribers with immediate effect. The second report focuses on another material difference between today and a horse's last run. That is a change of trainer. It is a fact that in all walks of life, some people are better at what they do than others. That fact extends to the training ranks, of course. 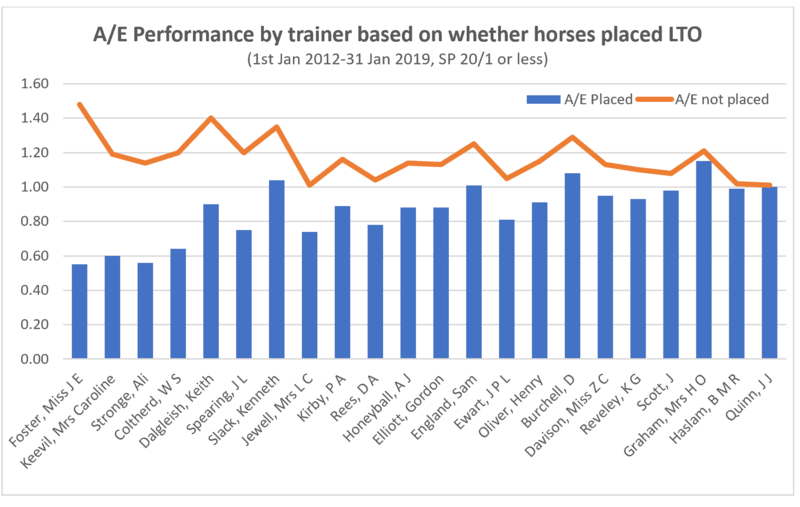 But how do we know which trainers can improve horses they inherit from other yards? 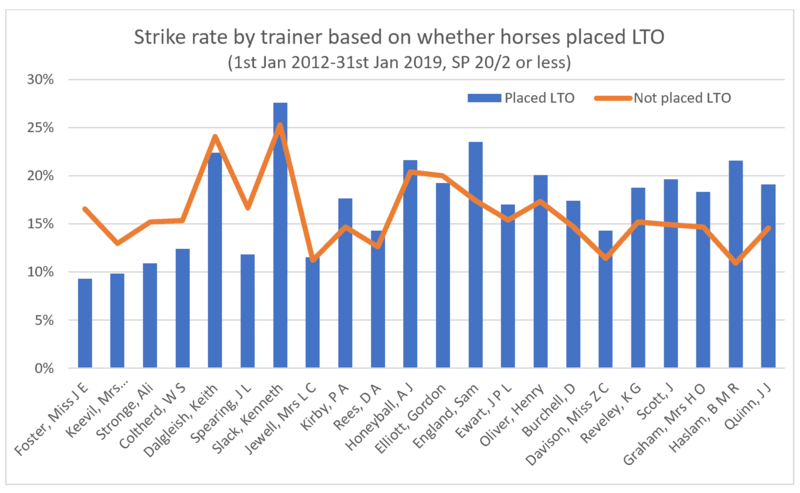 And, more pertinently as punters, how do we know which ones are doing it 'under the radar'? Simple: Geegeez Gold has a report for it! 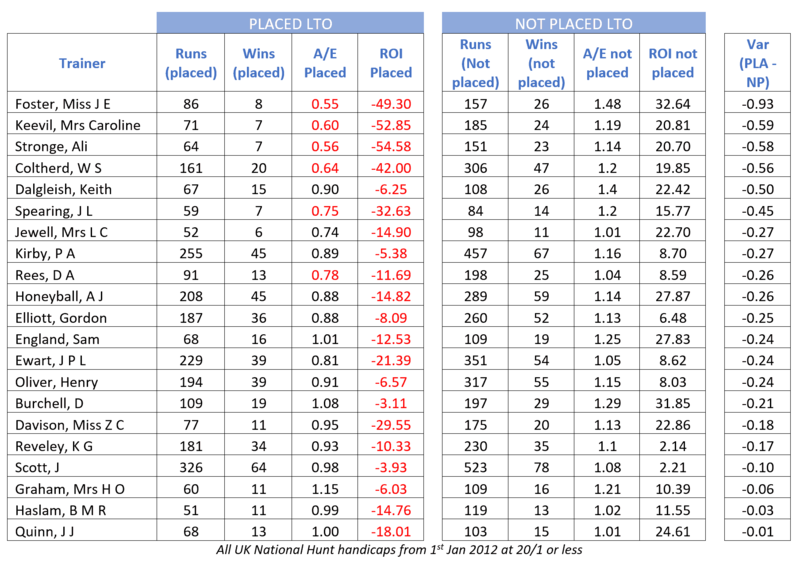 As with the first image, this one is also filtered on one year and a minimum of '0' for win and place profit. But these are not necessarily the best filters to use. In fact, my suggested filters can be found in the updated user manual here. If you're not yet a Gold subscriber, you can put that right here. If you've not yet sampled the amazing winner-getting tools and tips inside Geegeez Gold, you can take a 30 day £1 trial by clicking this link.